It was a case of the lure of the unknown. A remote beach tucked away between secluded headlands, accessible only by foot and difficult to find on a map. We'd heard about this mysterious beach before but had never attempted to find it, until now. 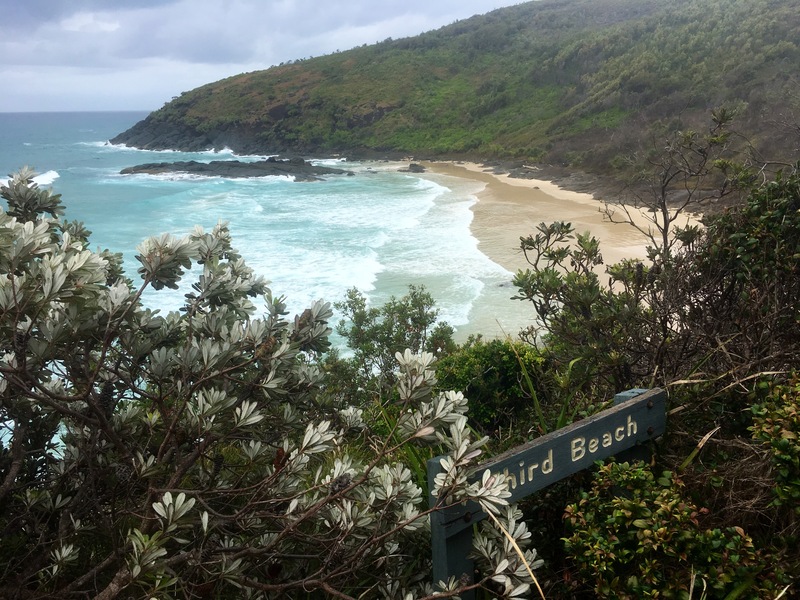 Located in Hat Head National Park, on the mid-north coast of NSW, Third Beach was our desired destination. So armed with little more than basic directions, a rough map and a positive attitude we set off to find it. 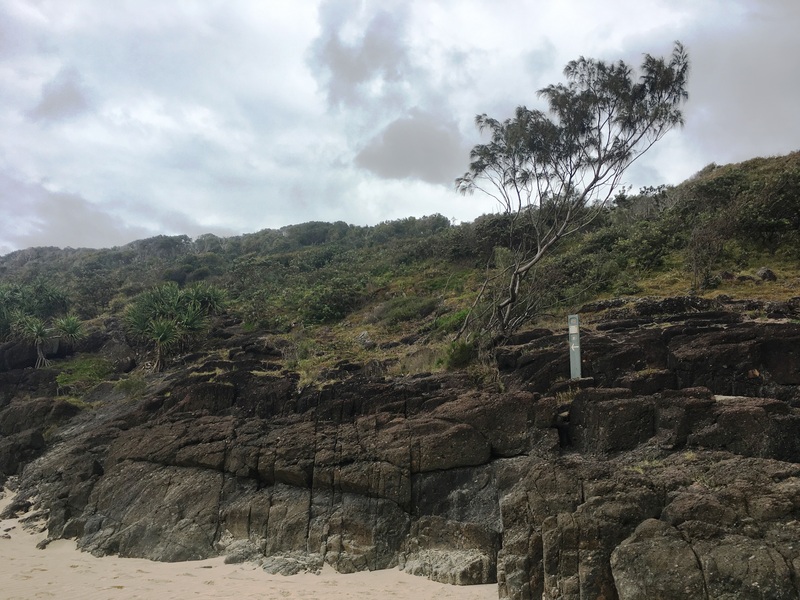 Third Beach is only accessible via Connors Walking Track. 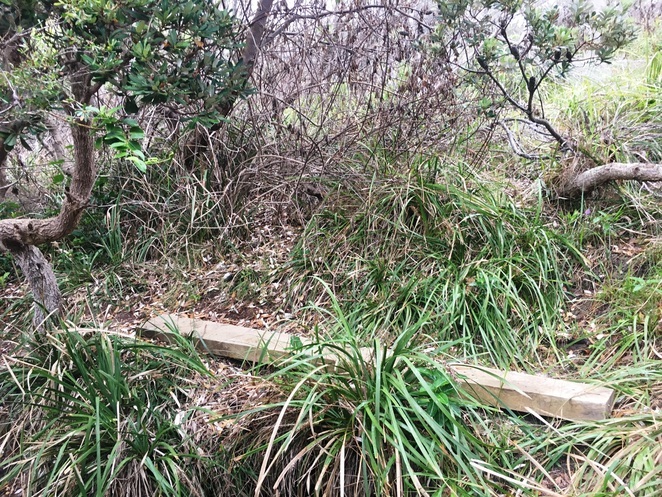 You can start the walk from either The Gap carpark in the north or from the Hungry Gate campground in the south. 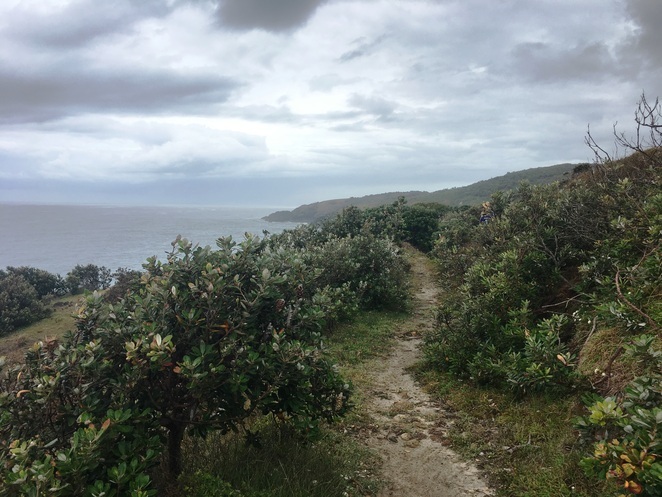 This walk is classified by NSW National Parks and Wildlife Service as moderate (Grade 5) and is suitable for the adventurous and well-prepared bushwalker. 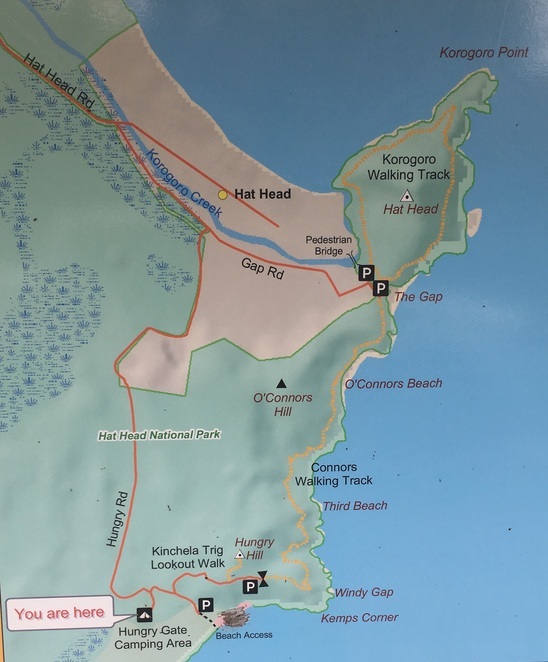 We started our walk from the northern end, at the pedestrian footbridge over Korogoro Creek at Hat Head, then took Connors Track to Connors Beach. For more information regarding this section of the track please click here. 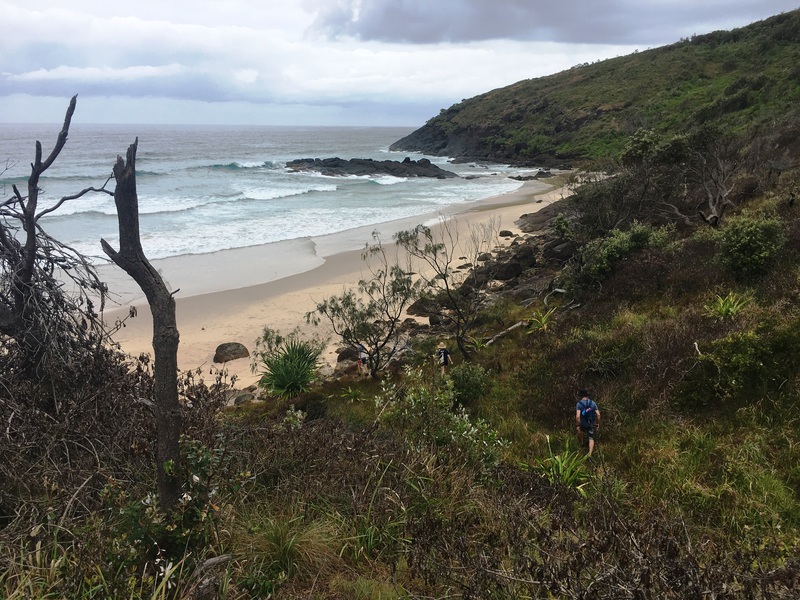 While this first section of walking track is signposted and very well-maintained, we found the section of track between Connors Beach and Third Beach to be quite the opposite. 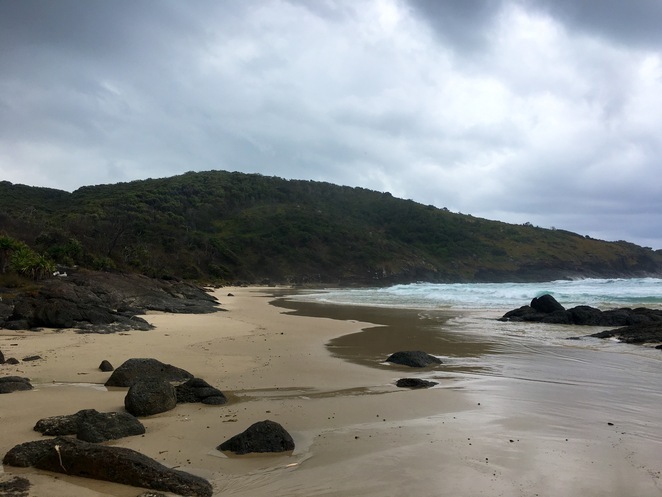 Once you have explored the picturesque Connors Beach, (swimming is not recommended at this highly hazardous beach), you will find the next section of the track at the southern end of the beach. Look for a green marker post with an arrow pointing you in the right direction. From here it is a short scramble up the rocks to find the path which climbs steadily up the headland. There is a great vantage point at the top where you can look back and photograph Connors Beach down below. 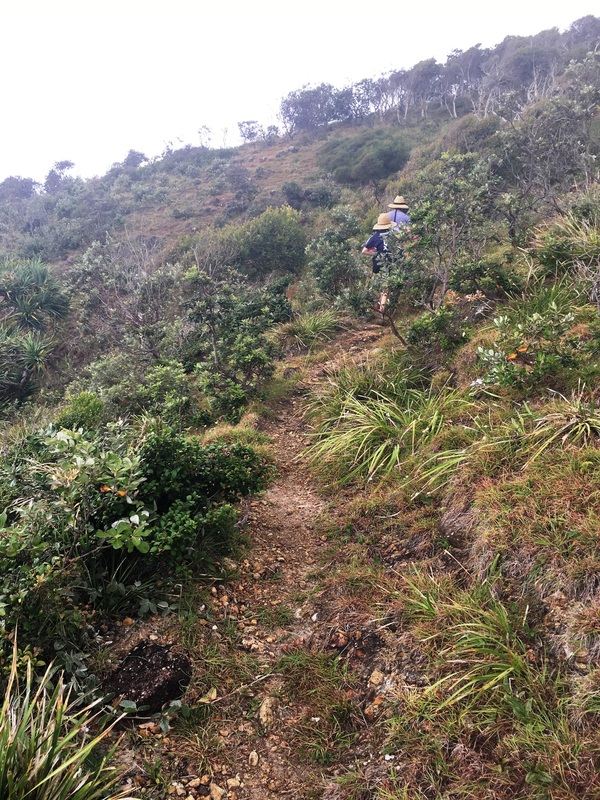 It is fair to say this track is rough and uneven as it takes you through the scrubby heathland dotted with coastal banksias. 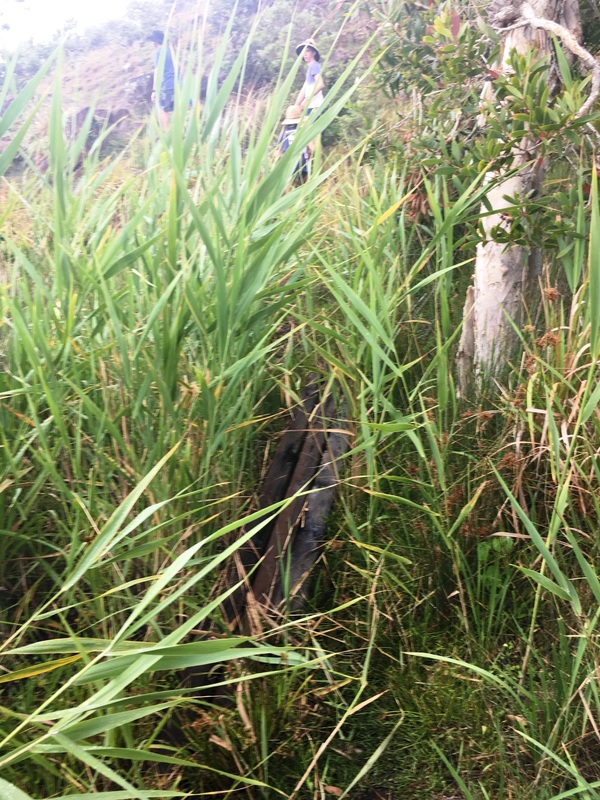 We saw no trail markings and in some sections, the foliage is so long and the track so overgrown, the path seems lost altogether. As there had been recent rain we found the ground was damp or very wet in a few sections. However, there were a number of timber logs in place to assist us over some of the rougher sections of track. 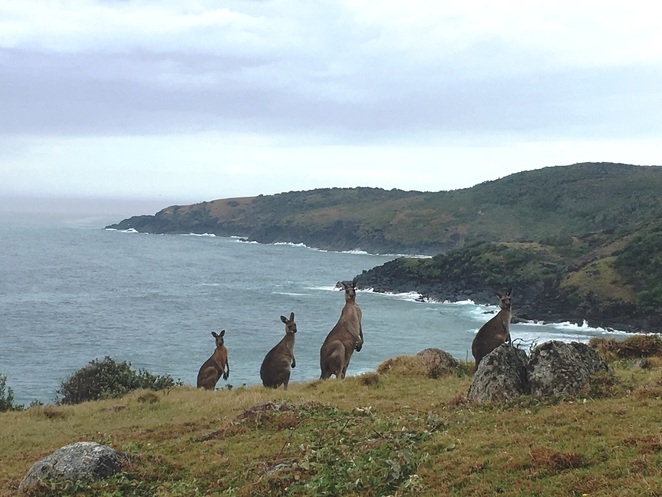 Along the way, you will probably come across grey kangaroos and wallabies grazing on the headland. There are also many spectacular views of the coastline to enjoy. As you approach Third Beach the track becomes more overgrown and difficult to see and we took a wrong turn and ended up on the rocks at the northern headland of the beach. As the tide was coming in we were unable to get around to the beach via the rocks, so we went back up to the track and found another path which took us further around and then down on to the beach. 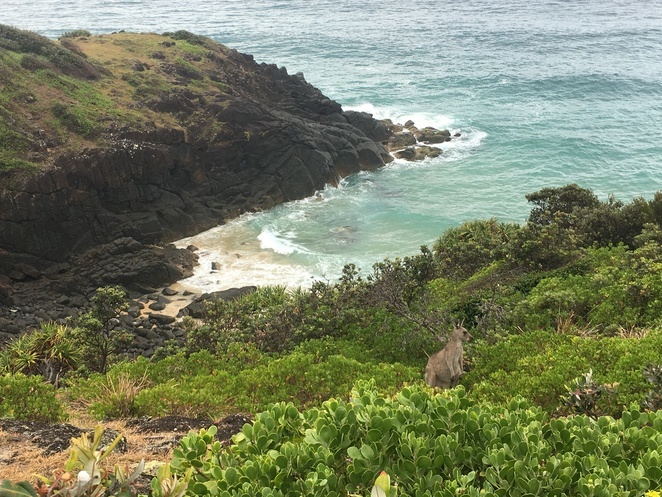 The descent to the beach is quite steep, however, the effort is worth it as there is a very good chance you will be rewarded with this pretty little beach all to yourself. 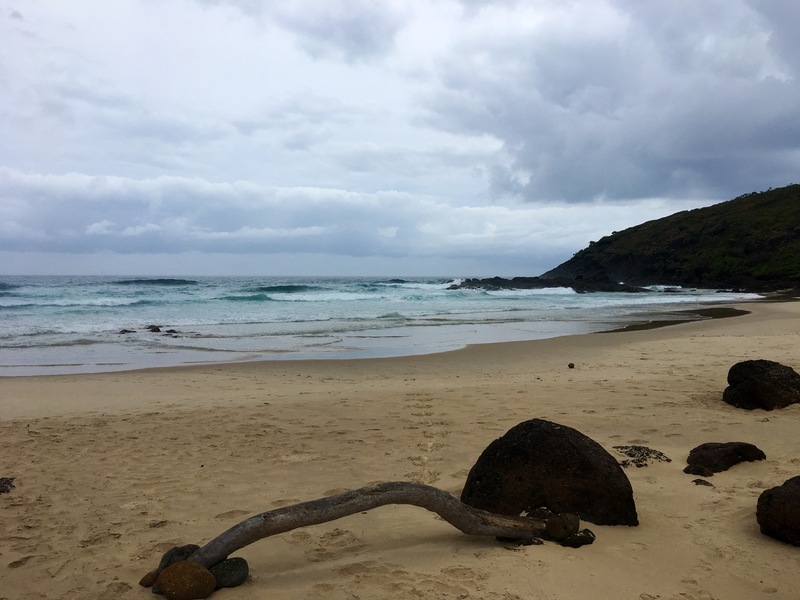 The beach itself is small, around 200 metres in length, and is backed by and dotted with large black boulders and rocks. At the northern and southern ends of the beach there are some rock pools to explore. 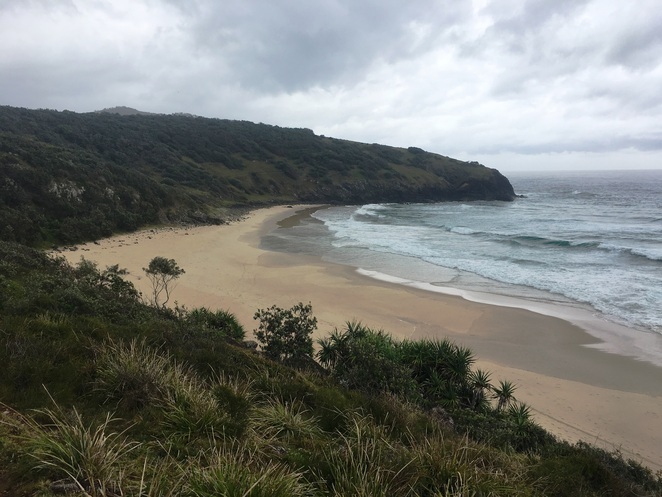 Swimming is not recommended here as the beach is rated "highly hazardous" due to the possibility of strong currents, rips, bluebottles and sharks. If at all possible I would recommend visiting Third Beach at low tide, as it looked as though there would not be much beach left at high tide. From Third Beach, the walking track continues further south to Hungry Hill and ends at the Hungry Gate camping area. As we did not try to continue any further south than Third Beach I can't advise on the status of the rest of the track. For the section of the walk we did, I would definitely recommend wearing enclosed shoes and long pants if possible. While we didn't see any snakes on this particular day, we were very aware that they would definitely be around and took the necessary precautions. 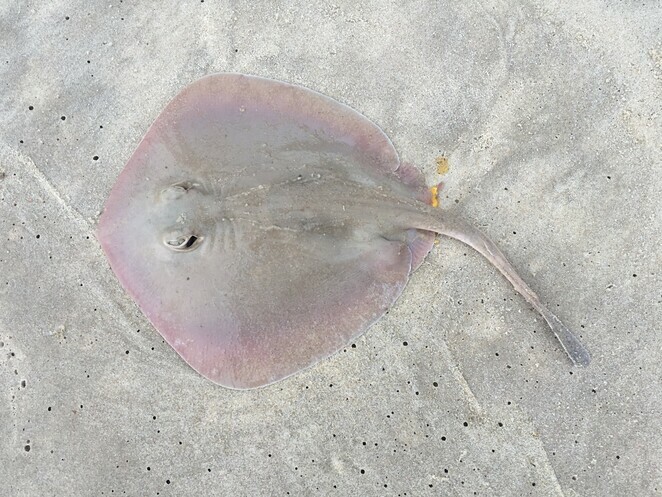 We did however come across some other interesting wildlife on the walk, including a stingray on Connors Beach, a number of kangaroos and we also had a close encounter with a leech on our return walk. You will also need sunscreen, a hat, drinking water and insect repellent for this walk. It is a very good idea to let someone know where you are going as there is limited phone signal in this area. The distance of the walk from The Gap to Third Beach is approximately 2 - 2.5km. It took us around one hour each way. For more information regarding Connors Walking Track please click here. For information about how to get to Hat Head National Park please click here. Looks a like a great walk in a great part of the world. Congrats on the silver! Where are the Best Cafes with Water Views in Port Macquarie?